Trade on thousands of CFD and spread betting instruments at competitive spreads and margins, across FX, indices, cryptocurrencies, commodities, shares and treasuries. Our FX pairs are available to spread bet and trade as CFDs. We offer prices on over 300 cash and forward currency pairs, covering all the major and minor pairs including EUR/USD, GBP/USD and USD/JPY. View the minimum and typical spreads for our most popularly traded FX pairs in the table. 1CMC Markets typical spreads, 1-31 March 2019. Take a CFD or spread betting position on the price movements of major global indices. Choose from over 90 cash and forward indices products, including the UK 100, US 30 and Germany 30. ​​​The table on the left shows some of the competitive spreads and margin rates we offer on indices trading. Trade on the prices of over 10 cryptocurrencies via a spread betting or CFD trading account to avoid the hassle of buying and selling the cryptocurrency itself, or needing a wallet or exchange account. The table shows minimum spreads, margin rates and trading hours for our cryptocurrency instruments. Speculate on over 100 cash and forward commodities with competitive spreads, including Brent and West Texas crude oil, Gold, Silver and Natural Gas. Our minimum commission charge to trade share CFDs and our additional spread for spread bet is 0.10% for UK shares and 2 cents for US- and Canada-listed shares. e offer spread betting and CFD trading on a range of treasuries, including gilts, bonds, bunds and treasury notes. You can trade on over 40 treasuries, with margins from 20%. Our spreads start from 1 point on Euribor, Schatz and Short Sterling. Spread bet or trade CFDs on thousands of forex, indices, commodities, shares and treasuries. 1Typical spreads are our most common spreads per instrument across all trading periods over the previous calendar month. For example, where the spread during a given period is: 0.7, 0.9, 1.5, 0.9, 2.0, and 0.9, our typical spread would be 0.9. 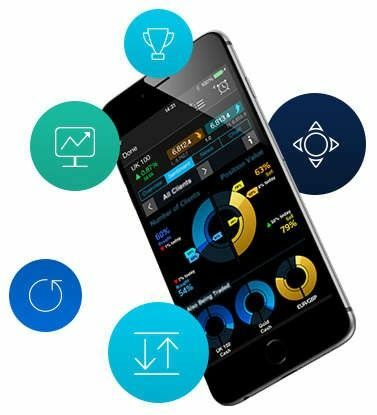 †Awarded Best Platform Features and Best Mobile Phone/Tablet App; ranked highest for Charting and Spreads, based on highest user satisfaction among spread betters, CFD and FX traders, Investment Trends 2018 UK Leverage Trading Report.